To commemorate the release of Disney’s live action Beauty and the Beast film later this month, Gallery Nucleus, Oh My Disney, Walt Disney Studios and Cyclops Print Works have collaborated to present Be Our Guest: An Art Tribute to Disney's Beauty and the Beast. This amazing group art show is an exhibition of new illustrated reimaginings of the Disney classic, and opens this Saturday, March 11th, at Gallery Nucleus from 7-10pm. 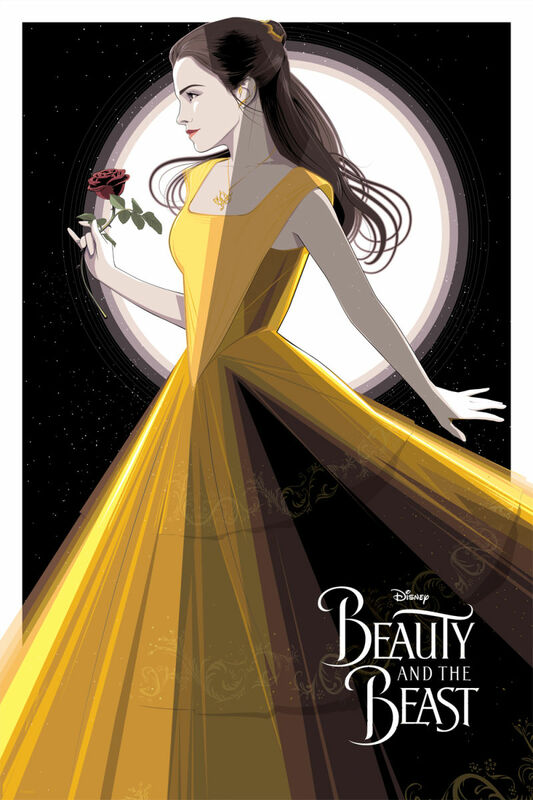 One of the sickest pieces from the show is this officially licensed Beauty and the Beast screen print by Craig Drake with the approved likeness Emma Watson! This beautiful 20”x30” screen print is limited to just 200 pieces, and features 23 colors and metallic inks. While a limited amount of prints will be available for pre-order at the show, most of the release’s run will drop at the Cyclops Print Works online store at noon PST on Friday, March 17th.